Ciudad Juarez . Mexico. 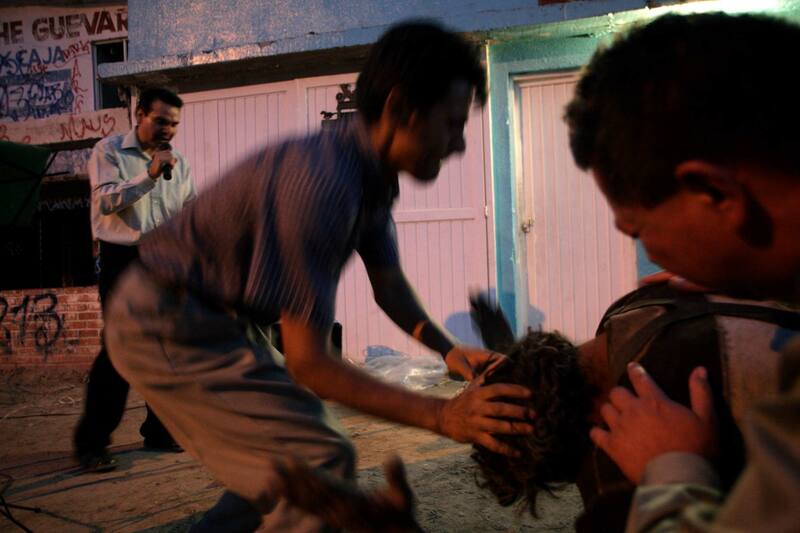 May 2008 Evangelist Polo Revelez preaching against violence and drugs in his neighbourhood church, El Buen Samaritano -The Good Samaritan- in the poor district of Mexico 68 in Ciudad Juarez, where many gangs operate and compete for drug business. In the foreground a man addicted to drugs and alcohol is being "saved" during the service.